The professional chef&apos;s knife that&apos;s 40% sharper! Sensei Slicer is the professional grade chef&apos;s knife that is a must have for every kitchen. 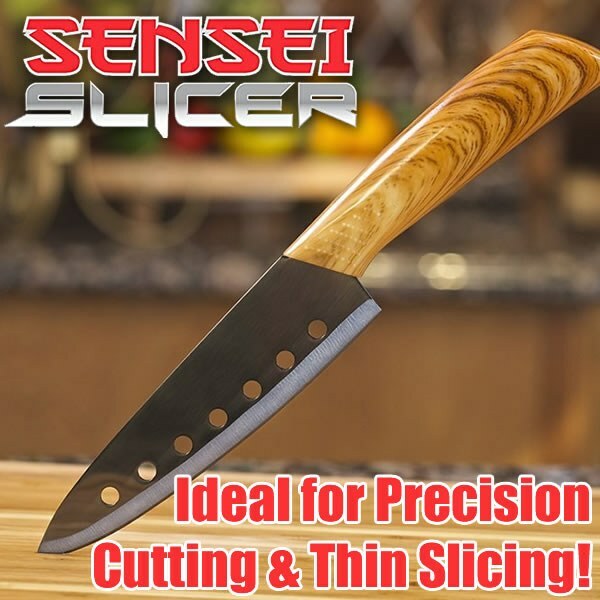 Sensei Slicer has superior sharpness for added precision and is incredibly durable - it can carve deli meats with ease and slice through cheese like a breeze! The Secret is is this revolutionary chef&apos;s knife is carefully crafted and sharpened on only one side to create an edge that is up to 40% sharper then a normal knife. best knife for the price iv&apos;e seen.